Actress Lena Dunham is no stranger to controversy, and she's in hot water again. This time it's because she compares her Jewish boyfriend to a dog in the latest issue of the New Yorker. The Anti-Defamation League has called the article "tasteless" and "insensitive." The playful, satirical quiz, presents 35 statements and asks the reader to decide if they refer to a dog or to her Jewish boyfriend. Dunham, the creator of HBO's hit show Girls, has said she is half-Jewish herself. She dates musician Jack Antonoff. 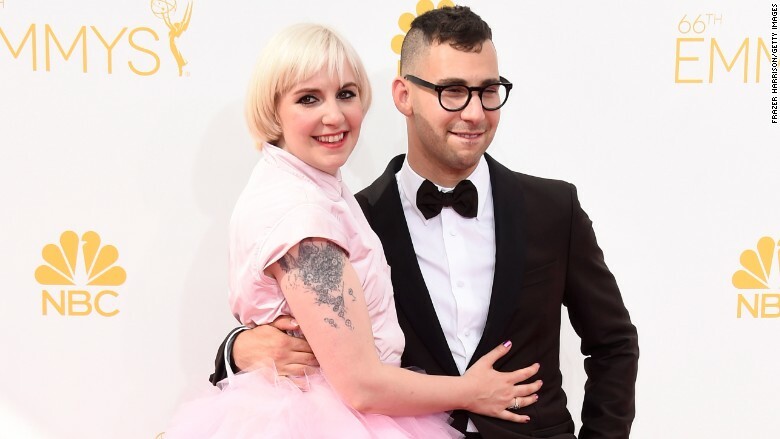 Some examples: He "doesn't tip," he "never brings his wallet anywhere," and "comes from a culture in which mothers focus every ounce of their attention on their offspring and don't acknowledge their own need for independence as women," Dunham writes. "We are surprised that the New Yorker chose to print it," said the ADL's national director Abraham Foxman. Related: Is this the Apple product that will reinvent TV? The article appears in the magazine's March 30 issue. We learn a lot more about Antonoff beyond his religion. He apparently has a best friend named Archie and an obsession with bellhops. Also: Dunham's grandma Dottie "loves him and says he's a 'good, good boy.'" "While we understand that humor is its own special brand of expression ... we wish that she had chosen another, less insensitive way to publicly reflect on her boyfriend's virtues and vices," Foxman said. "The Jewish-comic tradition is rich with the mockery of, and playing with, stereotypes. Anyone who has ever heard Lenny Bruce or Larry David or Sarah Silverman or who has read 'Portnoy's Complaint' knows that. Lena Dunham, who is Jewish and hugely talented, is a comic voice working in that vein. Richard Pryor and Chris Rock do the same about black stereotypes; Amy Schumer does it with women and gender. I don't mind if one reader or another didn't find the piece funny. People can differ on that. But considering all the real hatred and tragedy in the world, the people getting exercised about the so-called anti-Semitism of this comic piece, like those who railed at Philip Roth a generation or two ago, are, with respect, howling in the wrong direction." Dunham's spokeswoman declined to comment and so did HBO, which is owned by CNNMoney's parent company Time Warner (TWX).